It is that time of the year again when everyone is writing about exciting spooky stuff, and to accomplish two objectives with one action, I am contributing to the “October Birthdayz” blogathon by Nuwan at No Nonsense with Nuwan Sen to celebrate the birthday of his sister. The theme is famous people who were born in October, and, to celebrate Catherine Deneuve’s 75th birthday, I am reviewing Polanski’s “Repulsion” with Deneuve in the lead role. A review of this highly influential psychological horror film, that showcases Deneuve’s talent to the full extent, will not only fit nicely into this blogathon’s theme, but can also get you early into the Halloween spirit. Thanks for hosting and inviting me, Nuwan, and the readers can also check out other entries for this blogathon here, here and here. “Repulsion” can be considered a classic in the psychological horror genre. The plot revolves around Carole (Deneuve), a young woman from Belgium who works in a beauty parlour in London and lives in an apartment with her older sister Hélène (Yvonne Furneaux). Sweet and shy, Carole often finds herself day-dreaming, and tries to politely rebuff the advances of her obsessive suitor Colin (John Fraser). She also expresses hostility towards her sister’s married boyfriend Michael (Ian Hendry). Things take a turn for the worse when Carole’s day-dreaming leads to her mind having the life of its own and the triggers seem to be any sexual hints or attempts made at intimacy. When Hélène leaves for a vacation in Italy, Carole is unable to cope, and, feeling abandoned, slowly starts her descent into madness. After making his “Black Swan” (2010) out of Satoshi Kon’s “Perfect Blue” (1997) (see my article on the topic here), Darren Aronofsky now seems to make his new film “Mother!” out of everyone’s much beloved horror classic “Rosemary’s Baby” (1968). The phrases “paying homage” and “drawing inspiration” really camouflage the lack of artistic ideas and originality, and it is a pity. More than a pity. 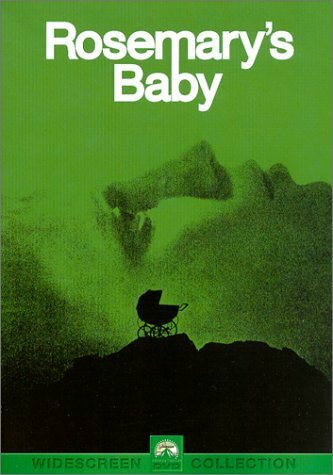 If Aronofsky’s shameful “Perfect Blue/Black Swan” creation showed a deplorable disregard for another form of art, his now seemingly hybrid “Rosemary’s Baby/Mother!” monster confirms that there is really nothing sacred left when it comes to making new films in the 21st century. And, even if Aronofsky’s new film “Mother!” will contain virtually nothing in common/ no similarities with Polanski’s “Rosemary’s Baby“, the new poster to his film “Mother!” is really a step too far, and, surely, demonstrates the lack of basic artistic respect for the previous work of art. How hard is it really to make one’s own movie poster and restrain oneself from dragging the fans of Polanski’s masterpiece into your own money-making machine? Directed by Roman Polanski and based on a hit play ‘The God of Carnage’ by Yasmina Reza, ‘Carnage’ is a drama-comedy about two couples who gather in an apartment to discuss and settle their sons’ playground brawl. Although the cast is great in this film, and the film has its funny moments, ‘Carnage’ still suffers from some major flaws, and one of them is the inability to capture the precise humour and wit of the theatrical play.